The latest campaign aims to encourage the reporting of drug-related activity within local communities and was developed by Belfast PCSP in partnership with Crimestoppers the PSNI & Others. A bus in the grounds of Cityhall bore the message with the big screen carrying the full ad. 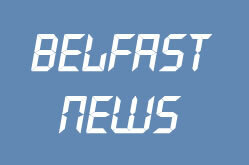 In additional the campaign has appeared throughout Northern Ireland on billboards, buses and taxis. The campaign itself was launched last year and one must assume, given the expense of the considerable advertising going into this campaign that last year, it bore fruits. Chairman for Crimestoppers Northern Ireland Peter Stafford indicated that callers could be treated anonymously if they contact Crimestoppers.